Emerging-markets telecommunications giant MTN is gearing up to fight a series of damaging allegations and legal action by Turkcell over claims by the Turkish operator that the JSE-listed group was awarded an operating licence in Iran corruptly. MTN claims Turkcell is planning to serve papers in the US courts alleging improper payments were made to secure the licence and that the SA government promised to make favourable statements about Iran’s civilian nuclear programme in order to help the SA cellular group secure the deal. 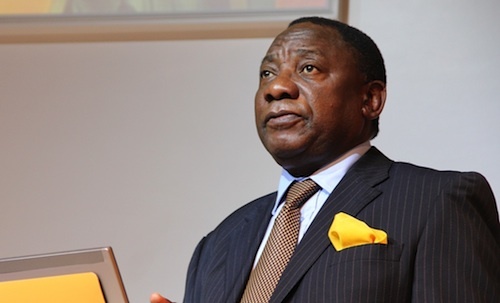 In light of the allegations, and in an apparent effort to deal preemptively with any fallout over the allegations, MTN chairman Cyril Ramaphosa on Thursday issued a carefully worded statement to the markets, promising a “measured and authoritative” response that reflects the “seriousness with which we take any claims of this nature”. Turkcell was involved in a bid for Iran’s second network licence, but lost to MTN, which now holds a 49% stake in the fast-growing business, called MTN Irancell (the state-owned Iran Electronic Development Company owns the other 51%). At the end of October 2011, Irancell had more than 33m subscribers. In a statement to shareholders, MTN says Turkcell and its subsidiary, East Asian Consortium, have brought a variety of legal proceedings in the past seven years after it failed to win the operating licence in Iran in 2005. According to MTN, there are ongoing international arbitration proceedings against the Iranian government under a bilateral investment treaty. It says Turkcell has not filed any claim yet and MTN’s statement about the issue appears to be an attempt to preempt such a move. According to MTN, it understands that Turkcell will allege to the courts that it made “improper payments to an Iranian government official” and that it “encouraged the SA government to take a favourable position toward Iran’s civil nuclear power development programme at a meeting of the International Atomic Energy Agency in November 2005. It adds that it believes Turkcell intends arguing that it enlisted the support of the SA government for the supply of military equipment to Iran. MTN warns that Turkcell has “intimated a range of putative claim amounts, the nominal value of which, if formally asserted, would be material”. In its statement to shareholders, MTN says it has “zero tolerance for corruption and unethical business practices” and the board has established a special committee made up of nonexecutive directors to consider the allegations. It has appointed Lord Leonard Hoffmann, an international jurist, to chair the committee and to “oversee and validate its investigation and to ensure the integrity and independence of the investigation”.